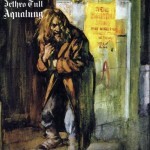 Jethro Tull is one of my all time favorite rock bands. Ian Anderson and Martin Barre have been very influential in how I conceive of the confluence of light and dark (acoustic & electric; flute & guitar; etc.) in a rock setting. Most directly, Ian’s acoustic guitar playing heavily influenced how I play acoustic guitar and octave mandolin. There’s a uniqueness to his strumming style that has become a core of how I approach acoustic. In many ways, I think Tull were much more successful than Led Zeppelin in incorporating acoustic tones into rock music (Zeppelin’s IIIrd album has received much credit for bridging the acoustic and rock worlds, but Tull–and Fairport Convention before them–were the true pioneers in doing this). It’s unfortunate that Ian dismantled Tull 3 or 4 years ago (though he continues to tour as “Jethro Tull’s Ian Anderson”). I saw Ian last summer when he toured for the Thick as a Brick 40th anniversary tour. Ian’s voice was the best I had heard it in many years, but it was very disappointing to not have Martin Barre there. Unfortunately, I came to Tull in the late 80s after Ian’s voice had already peetered out, so never had an opportunity to see Ian live in the fine form you would have found him in the 70s. 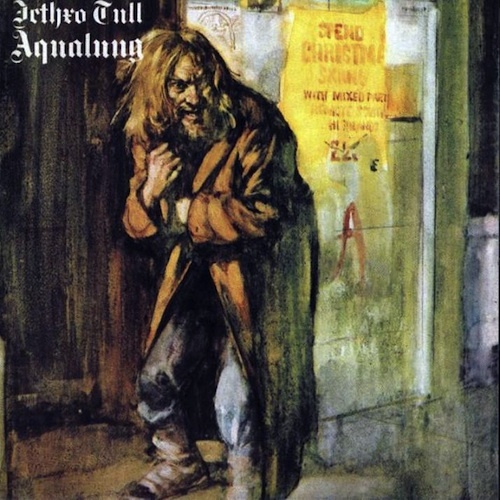 An arrangement of the head of Jethro Tull’s Aqualung has been posted to the Tablature page. This is the 1st section of the tune up to the acoustic guitar. The acoustic guitar section and solo will be posted at another time soon to come.